This NHL playoff season is full of firsts, and you won’t want to miss a second of it. Round one is now in full swing, with 16 teams battling it out for the glorious Stanley Cup. From hometown rivalries to new faces, there’s a lot to pay attention to this playoff season. It might not be their year, but the San Jose Sharks should always be ones to watch. The Sharks plateaued since their Stanley Cup Finals appearance in 2016 against the Pittsburgh Penguins, but they could bring the trophy home in the next few years. San Jose’s fire and determination never seems to fade, no matter its place in the standings. The Sharks had their core of Joe Pavelski, Joe Thornton and Brent Burns established for many seasons. Burns has continued to be an elite defenseman for years. While Thornton is on injured reserve, the team hasn’t slowed down. San Jose might not make it to round three, but definitely watch out for the team in the beginning of the playoffs and during the NHL entry draft this summer. The most exciting matchup of the entire playoffs might just be Pittsburgh and the Philadelphia Flyers. The two teams have a vicious history and rowdy fans to match. Regardless of who’s in the finals, the Penguins and Flyers might put on a better show. There’s a definite possibility that this matchup will go to seven games, just because of the deep rooted connection that the two teams have with each other. Be prepared for a lot of penalties and some inevitable fan ejections. The Columbus Blue Jackets might have the best shot at an upset. The Washington Capitals are never on their game in the playoffs, even with their stacked lineup. The Blue Jackets have been slowly making breakthroughs in the playoffs in the last five years. It will take a lot more rebuilding to become Stanley Cup champions, but a win against the Capitals is a start. While it would be fun to see the Colorado Avalanche beat the Nashville Predators in the first round, that might be the most unlikely victory of the entire first round. The Predators have Mike Fisher, and they’re still angry from their loss in the finals last year. However, the first round is the best place to find a good upset, especially when everyone is still getting the hang of things. While the Penguins dominated the 2016 and 2017 Stanley Cup playoffs, a three-peat just feels unlikely this year. They’re not going to go into the playoffs with the same fire and energy that is needed for long run success. 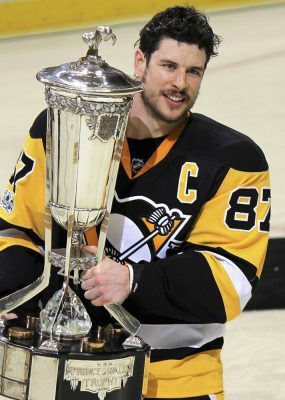 On the other hand, Pittsburgh’s rival in last year’s finals have a better chance than the Penguins of making it back there. The Penguins were the first to win back-to-back championships since the Detroit Red Wings in 1997 and 1998. Repeats are becoming less and less likely in the NHL. It’s even unlikely to repeat in the final round, let alone win the trophy. The last team to win three years in a row was the iconic New York Islanders team, which won four years in a row from 1980 to 1983. The league has changed quite a bit since then, in both numbers and organization. Pittsburgh isn’t as strong as it was in the last two years, especially after enduring long and exhausting seasons over the last decade. The Penguins kind of need the off time to regroup and get ready for the draft, but their playing probably won’t get them back to the finals this year. The Las Vegas books are predicting Nashville to win the cup, but the Vegas Golden Knights have other ideas. An expansion team in any sports league is never expected to do well. The first season is just meant to be a tester. But Las Vegas went from figuring things out to a monster season with a pretty good fan base beginning to grow. It’s never been done before, but if there’s one team that’s could do it, it’s this one. Las Vegas has been fired up since the start of the regular season and they really haven’t slowed down since then. It’s still a little uncomfortable to think of Las Vegas as a sports town, let alone a hockey town, but the Golden Knights have already proved everyone wrong this season. So why not now? Regardless of the winner (which in my eyes will either be Vegas, Nashville or the Winnipeg Jets), the first round of matchups is enough of an exciting draw to the rest of the rounds.